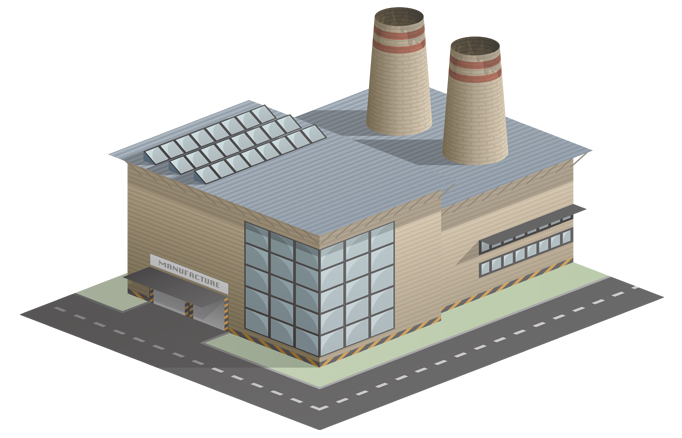 The factory pattern is one design pattern that is often useful in the context of DI. What is the factory pattern, though? Googling for factory pattern provides us with a pretty succinct definition. The group includes the Simple Factory, Factory Method and Abstract Factory patterns: … The Factory method lets a class defer instantiation to subclasses. Abstract Factory: Provides an interface for creating families of related or dependent objects without specifying their concrete classes. Like my previous post, I’m dealing with an IRepository<T>. My repository is using EF Core, but I wanted to be able to change the context that is used based on what namespace T was in. The condition isn’t important, though, and it could be any condition relevant to the creation of objects. Next the DomainRepository<T> is effectively going to have a private member that implements IRepository<T> and expose all of that member’s interface methods through its facade. We’ll inject an IServiceProvider into the DomainRepository so that it can obtain a reference to whatever is relevant in constructing its IRepository<T>. The full code illustrating switching contexts for the same DomainRepository based on what namespace the T model lives in and creating the IRepository is below. // This could be a factory if we really wanted to swap between contexts ..
Of course, this is a tad contrived, and the one unfortunate side-effect is that it does create a bit of redundancy through interface (re)implementation. But, it’s light enough and we do achieve our goal of having open generics with a factory. It is also a write-once-use-wherever scenario, so our factory can be reused as needed in various projects. Being able to provide open-generic factories through .NET Core DI opens a lot of possibilities in terms of code reuse and startup simplification.